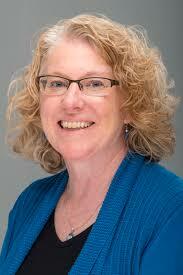 Professor Claire Sullivan, Ph.D., is the University of Maine’s Coordinator of Community Engagement. Dr. Sullivan designed and developed the Engaged Black Bear (EBB) digital badging initiative in 2015, collaborating with higher education units and other stakeholders across the state and beyond. The initiative aims to build leaders, effective employees, active citizens, and lifelong learners by recognizing student’s engaged learning and workforce ready skills. EBB is also designed to build a pipeline to higher education for Maine citizens. She was on the Advisory Committee for Maine State of Learning’s badging initiative and has given multiple presentations across the United States. Dr. Sullivan is collaborating with Education Design Lab to offer a suite of 21st Century Skills badges to aid employers in the hiring process. As an Associate Professor in the Department of Communication and Journalism, Dr. Sullivan teaches online service-learning, capstone, and group communication and leadership courses. She also works to develop internships for UMaine students as part of the Flagship Internship Committee. The Engaged Black Bear Initiative is supported by grant funding (2016-2018). The grant was received from the Davis Educational Foundation established by Stanton and Elisabeth Davis after Mr. Davis's retirement as chairman of Shaw's Supermarkets, Inc.